The absolute joy of a new baby in the family is undeniable. Although you are ready for lots of sleepless nights it doesn’t matter as it is such a little miracle you have in your home. However, once you have your baby home thoughts and plans quickly turn to safety. One of the must-have pieces of equipment is a baby monitor. Not only will this give you peace of mind but it will also allow you to hear and even see your infant when you are not in the same room and of course if there IS anything that you need to check on you can be there instantly. Being a new parent is an incredibly exciting and proud time. You will be brimming with happiness and joy and eager to show off your progeny to anyone who will listen. But it’s also a scary and paranoid time, as you worry about them constantly. A good baby monitor can put your mind at rest and allow you to live a normal life while your baby snoozes. But how does the Angelcare measure up? 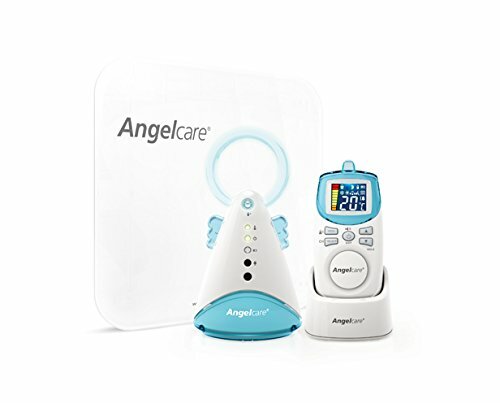 The Angelcare AC401 is a baby monitor that can measure both sound and movement. It is placed underneath the mattress, where it will pick up vibrations. 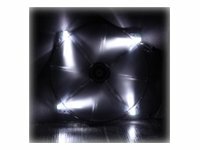 Added features include a sound activated LED light that can help to ease baby off to sleep. There’s also a low battery indicator. 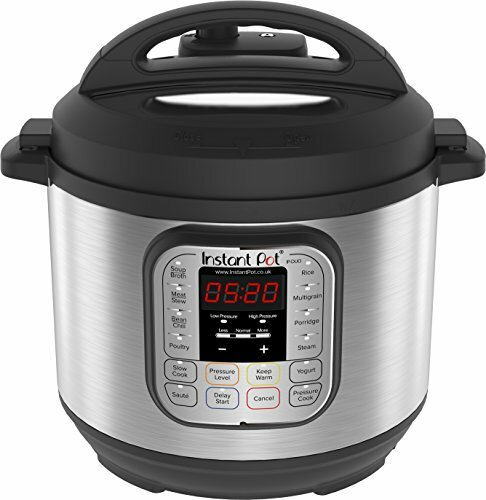 At the other end, there is a full-colour digital LCD screen, which also shows the room temperature. This is a highly well-designed baby monitor with many well-thought-out features. A low battery indicator, for instance, is incredibly important for such devices, as you need to know whether the monitor has stopped making noise because the battery is out, or because you have something to worry about. One downside is that the movement sensor won’t work with all mattresses, including hollow core mattresses or those that use memory foam. 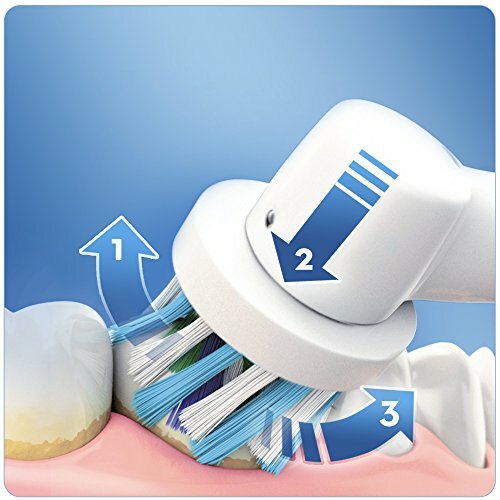 While this sensor won’t work in every single scenario, it is on the whole one of the most feature-rich and thoughtfully designed products on the market. A Godsend for parents! When you purchase a baby monitor, you are placing the safety of your child in the hands of technology. A baby monitor gives us peace of mind that our baby is happy sleeping and that we don’t need to rush in to check on them every other minute. If the monitor isn’t reliable though, then we might not realize that our child needs us. This is an incredibly important purchase, so how does the BT Digital Audio Baby Monitor measure up? 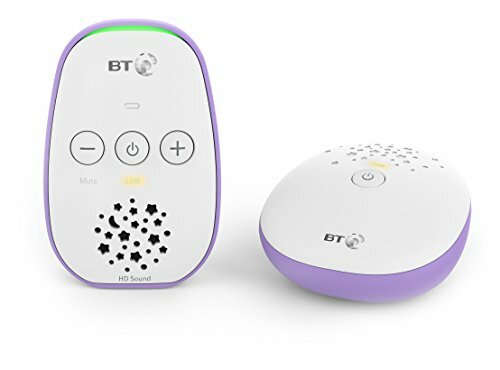 The BT Digital Audio Baby Monitor is a monitor from a well-known brand (BT), which should right away help to put your mind somewhat at ease – as opposed to buying from an unknown manufacturer. The device offers ‘interference digital HD sound’ for a crystal clear reception, as well as sound sensitive LEDs to provide you with a visual alert. 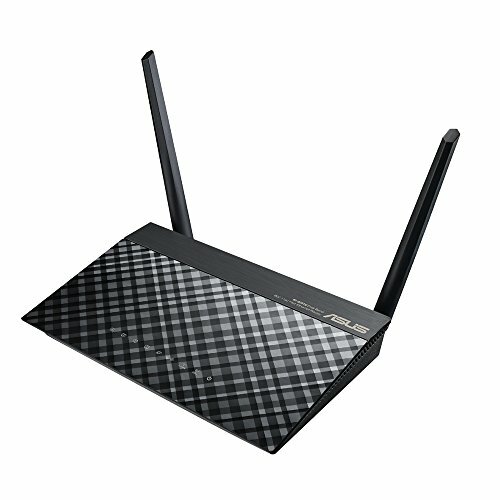 It also has a long range of up to 40m. One of the things that users like most about this baby monitor, is the excellent sound quality. 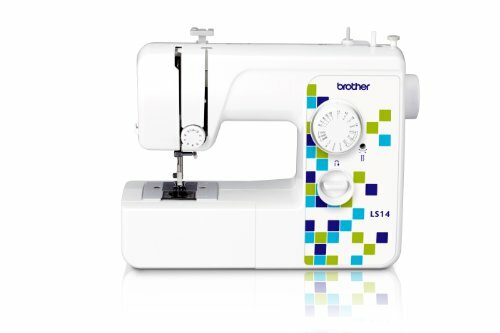 This ensures you can hear any sounds that your baby is making and get a good picture of what is going on in the room. Unfortunately, though, the device is far from perfect. Many users complain that the battery doesn’t last well for instance. If you want a reliable baby monitor, then choosing one from BT Is a great move. 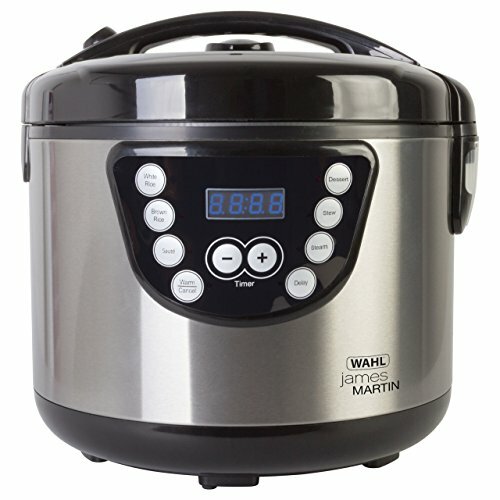 What’s more is that having an LED indicator ensures you’ll always know that it’s working. Using a baby monitor is a great idea for parents that want that extra assurance that all is well in their baby’s room. 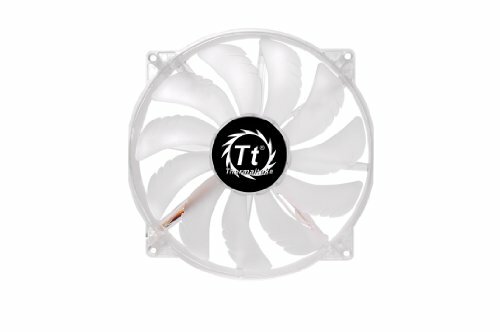 Have you ever been listening to your monitor and found that it’s just a little too quiet? Of course, that probably means your baby is sleeping soundly, but it’s not hard for our brains to start playing tricks on us. Having a video can make a big difference. So is the GHB Baby Monitor a good investment for those more anxious parents? 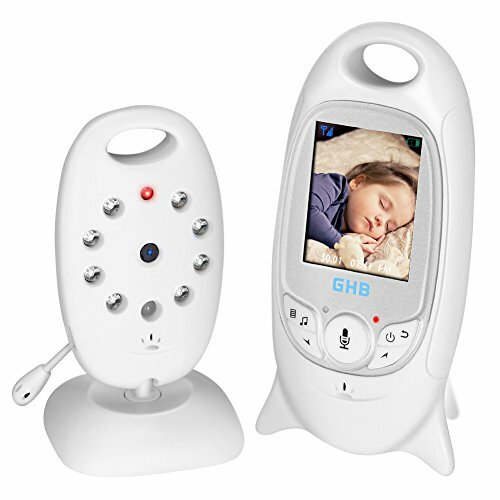 The GHB Baby Monitor is a well-made device that looks attractive and is easy to operate. It has a large, full-color screen and makes it easy for parents to check in on their children. Of course, this also means that the camera comes with infrared. 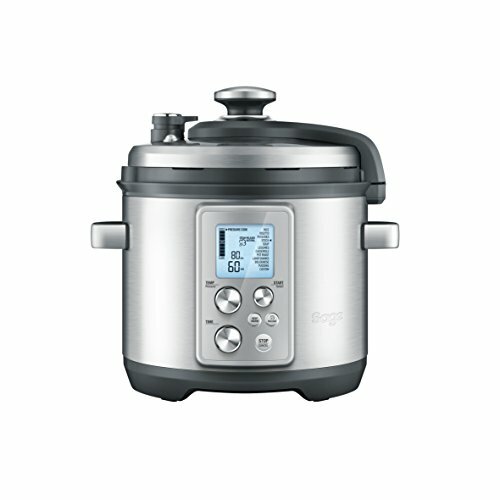 But it also comes with a vast range of additional features. These include 2-way communication – meaning that you can speak to your baby to help soothe them. Temperature monitoring meanwhile enables you to ensure the room is just the right temperature for them. Lullaby features and more add to the package. This is a beautifully made product with a wide range of useful features for parents that can help put their minds at rest and keep their children safer. The only possible downside is that having a camera will drain the battery faster and it can lead you to end up checking even more frequently. 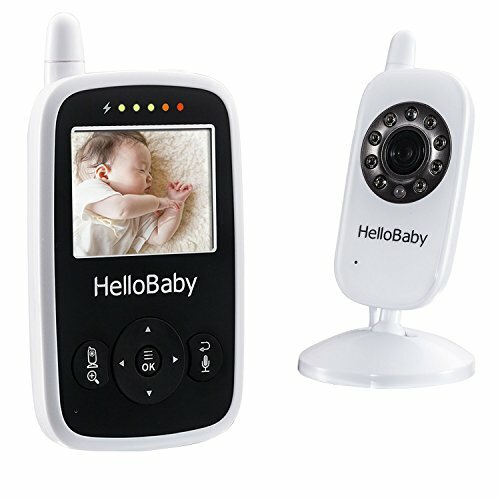 This HelloBaby monitor is among the most feature packed and advanced ways to keep an eye on your baby. 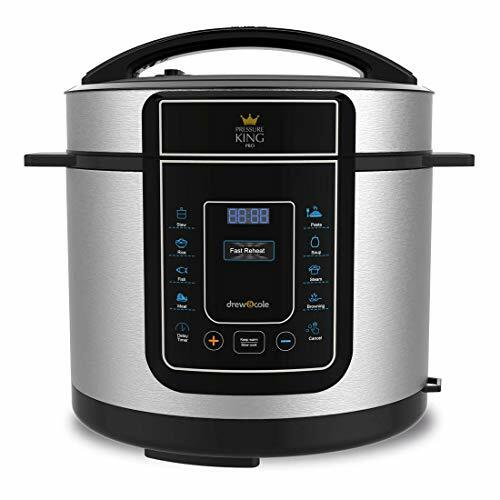 It is great for ensuring Mum and Dad get peace of mind and its wealth of features will be useful in a wide range of different scenarios. All these features can come in handy for parents and you might find that some of them are game-changing. Many parents dismiss the idea of a lullaby function until they actually try it. The ability to soothe your baby from afar without having to get up can make a huge difference and it’s something you should definitely consider. In conclusion, this product has everything you could want from a baby monitor apart from one high-end feature: a heart rate monitor. Seeing as this is an option that many people don’t approve of though, that makes this model the perfect storm of features and build quality for a wide variety of users. A baby monitor doesn’t have to mean simply listening out for noise, it can also mean looking in on your baby to check how they’re doing. Video monitors are becoming more and more popular these days for these reasons and many parents now rely on the cameras to get peace of mind. 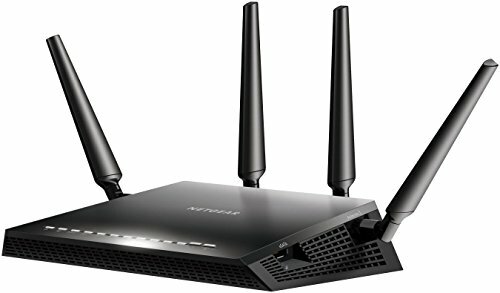 This BW product is just such a monitor and it also comes with a host of other features, so read on to learn more. The BW camera comes with a lot of features that you might find in other similar products. These include an alarm function, temperature monitoring, a talk function, built-in lullabies and more. Many parents are surprised at just how useful the lullaby feature can be in particular, giving them a way to soothe their children from another room. Many babies are mesmerized by these displays! The camera is powerful too and benefits from a strong signal. It also comes with a music player and a large 2” LCD screen. With so many features, this monitor makes it easier than ever for parents to check in on their sleeping children. The only potential missing feature is a heart rate monitor, but this is something that many parents say they don’t want as it can cause additional panic. In short, this is one of our top picks for the most advanced and impressive baby monitors and one of the products that can make the most difference to your life by allowing you to leave the room and know your baby is safe. And you know what else? Many parents find that they feel soothed simply by seeing their child! 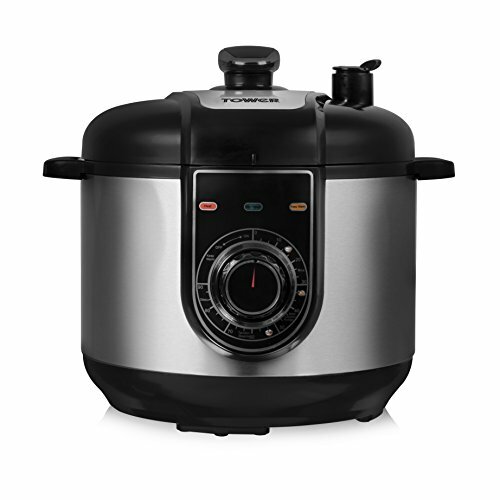 - With alarm function and temperature monitoring. - Multiple languages support (English/French/Spanish/Italian/German). 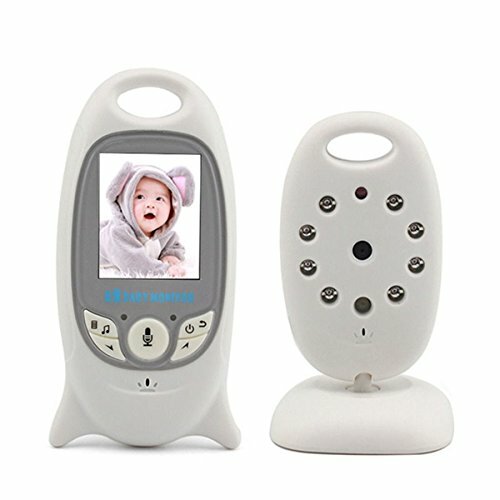 - This new 2.0" inch LCD color baby monitor is an amazing product for all parents or nannies to monitor their babies. We will now run through the different types of baby monitor that you can buy and then we will give you a closer look at our top two choices from the products above. 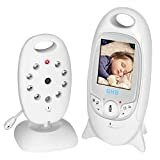 Looking at the features of a baby monitor and the functions the important thing is to remember what it is there for and that is, essentially, to offer peace of mind. Of course, the first few weeks with your new baby are the most anxious and you don’t really need a baby monitor due to the fact that you hardly leave their side. After you start to get used to having a baby in the home a good baby monitor is essential and it means you get more time to relax! If you want the best then you should have a look at a good video baby monitor. These will allow you to see what is going on at a glance and obviously, you will want to make sure you get a clear view so it is worth picking up one with a larger monitor.